Orange you glad it’s almost spring? Yeah, okay, that’s pretty bad, but I couldn’t resist because orange is the color for spring 2012 according to fashion trend forecasters and trendsetters from Pantone to designer runways. 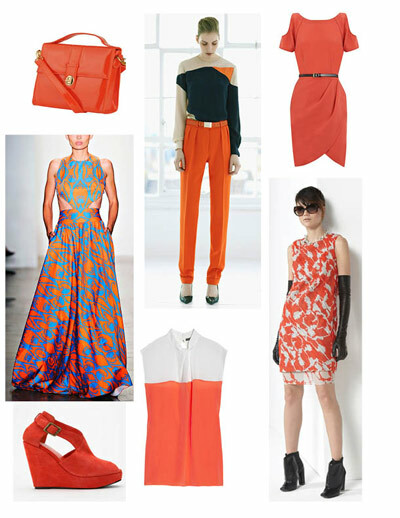 I’m thrilled because orange is one of my favorite colors to wear, so I am definitely ready to go citrus this spring. 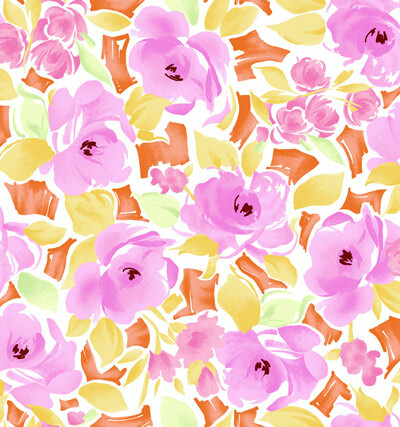 Can’t you just see this beautiful watercolor floral sateen as a Mad Men-inspired dress with a fitted bodice and a big skirt to show off the print? Add a wide orange belt and it would make the perfect dress to wear to an outdoor spring wedding. 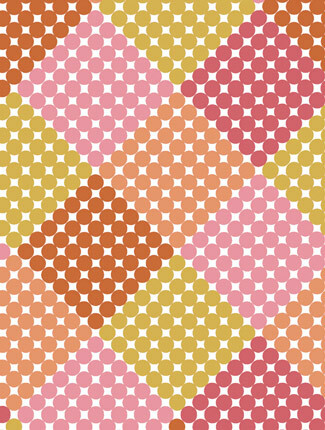 I want to use this geometric dot print sateen to make a fun blouse for work or a 60’s-inspired shift dress. It would go with so many things in my closet! 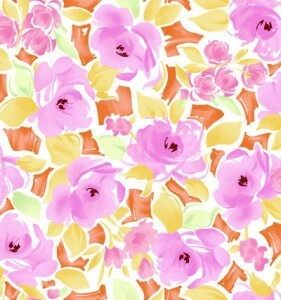 This exotic floral sateen print would make a great tunic top to wear with shorts or jeans. 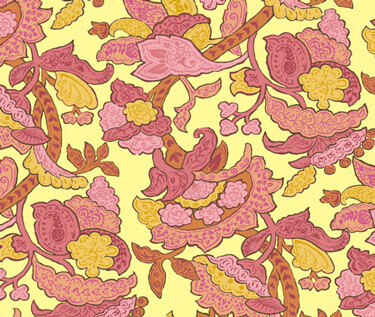 Inspired by Indian block prints, this lightweight cotton lawn (you saw it last Friday in my new Market dress) would make a great peasant blouse or flowing maxi-dress. This is my favorite print of the bunch! Tell us how you will be incorporating orange into your spring wardrobe and what your ideas are for sewing projects with the new spring fabrics. We can’t wait to see what you create! My life is an orange-free zone, apart from citrus fruits in a bowl. Seriously, it’s perhaps the color I hate most. I love orange and will be eyeing the new fabrics for some spring sewing…that is if I can find more room in the stash.